Broadgnss Technologies recently announced at the 9th China Satellite Navigation Conference a new high precision satellite position receiver with patented RAC（Real-time Array Calibration) technology. It features positioning accuracy better than one meter (up to 10 centimeters). By receiving only single frequency (GPS L1) satellite signals, the RAC technology in high precision satellite positioning frees the dependence on traditional augmentation network and significantly reduces the cost to enable high precision satellite positioning to enter large-scale applications, according to the company. Many consumer GPS accuracy devices are around 5-10 meters. To achieve the sub-meter level accuracy, you have to use the professional GNSS receivers that connect to ground based or satellite based augmentation systems like RTK (real-time kinematic) or PPP(Point Precision Position). RAC receivers are designed to balance the performance and cost, overcoming some common barriers of traditional high accuracy GNSS receivers. “RAC technology is one disruptive high precision GPS solution. As people pursue the more accurate GPS location, we think the cost shouldn’t be the barriers of scaling up, meanwhile RAC technology opens one door for high accuracy GPS research, which could be used in more space. Broadgnss is aimed to democratize the high accuracy GNSS service and will keep moving to this goal,” said by Broadgnss CEO Yan Shen in a press release. 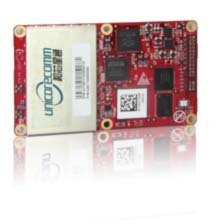 The Broadgnss RAC receiver is currently being used by autonomous vehicles, drones, precision agriculture, robotics, and more. Founded in 2014, Broadgnss Technologies Co., Ltd is located in Shenzhen, China.